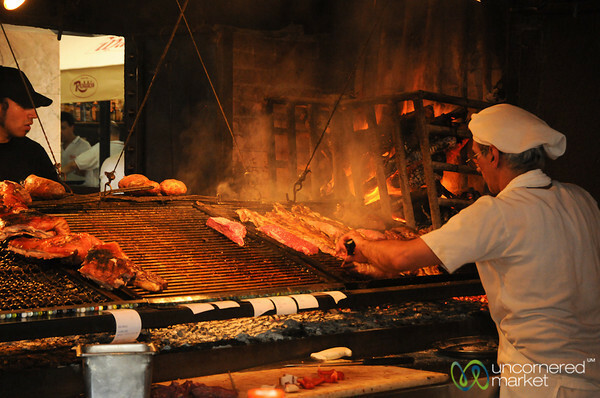 Best of Uruguay travel. Tango, wine, steaks, carnaval, and old trucks. 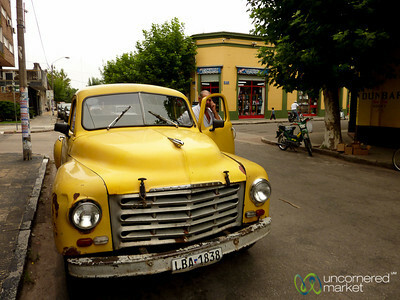 Photos from our visit to Montevideo, Carmelo, Colonia, and Juanico. 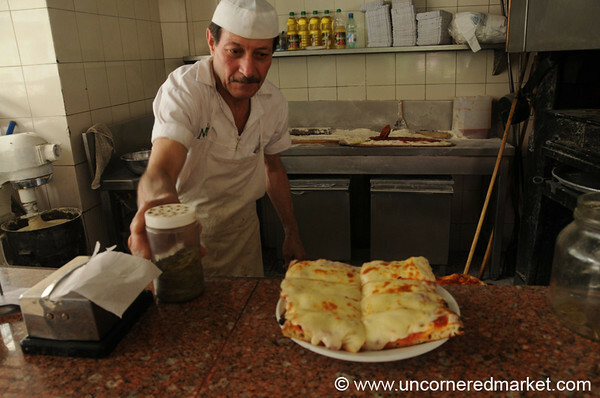 We stopped into a pizza joint called The Manchester (18 de Julio) where this pizza guru serves up gooey, saucy slizes of pizza cooked fresh for you. This was 25 cm cut from a meter-long pizza. 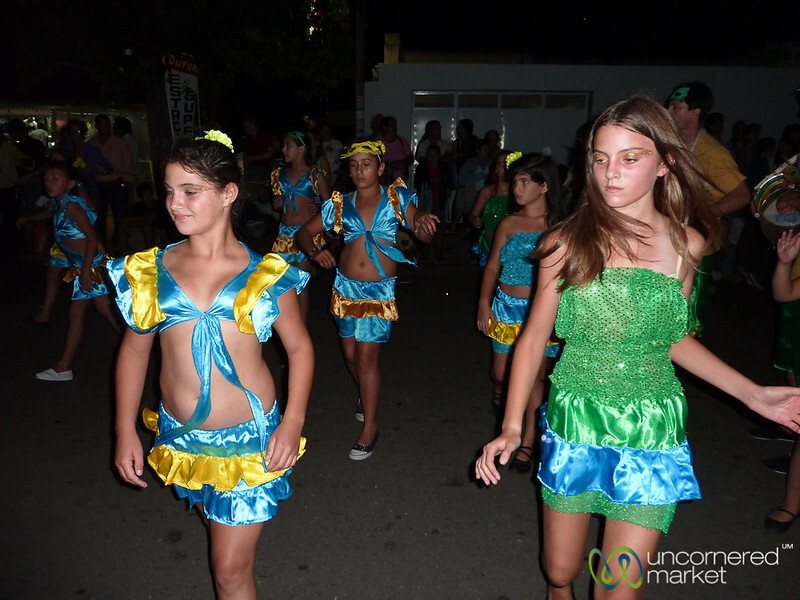 Our one night in Carmelo, Uruguay coincided with the end of Carnaval. The streets were filled with a parade of dancers and performers. 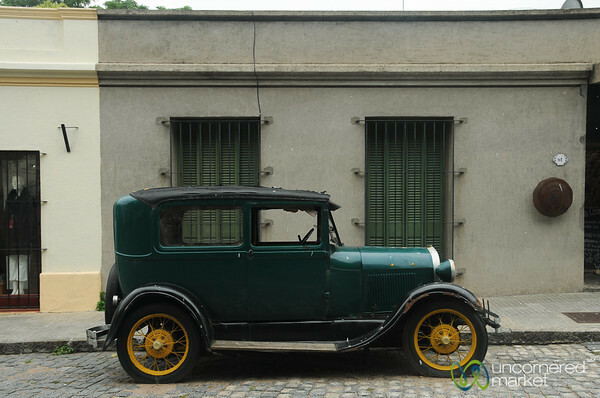 One of the many classic cars we found on the streets of Colonia, Uruguay. 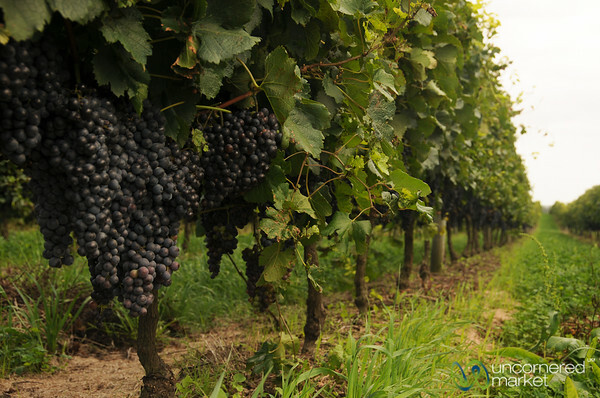 The vineyards of Juanico Winery outside Montevideo, Uruguay. 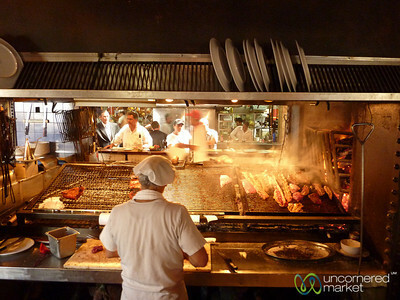 Taking care of the grilling meat at Mercado del Puerto in Montevideo, Uruguay. 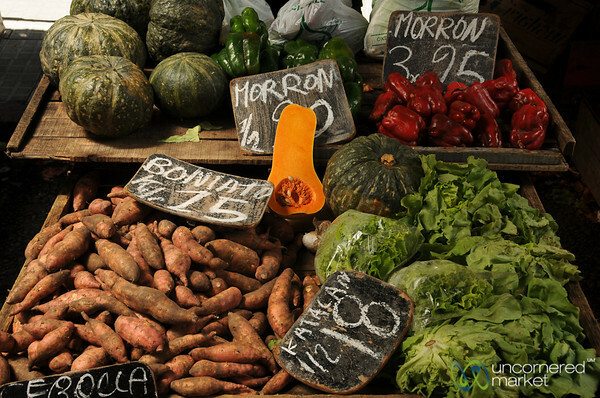 A weekly fresh market in old town Montevideo, Uruguay. Tango dancers provide entertainment for onlookers on the streets of Montevideo, Uruguay. Recovering from a busy lunchtime at Mercado del Puerto in Montevideo, Uruguay. 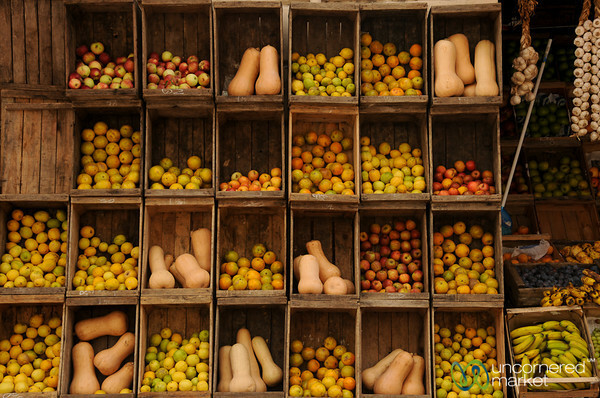 Taken at a fruit and vegetable shop in old town Montevideo, Uruguay. 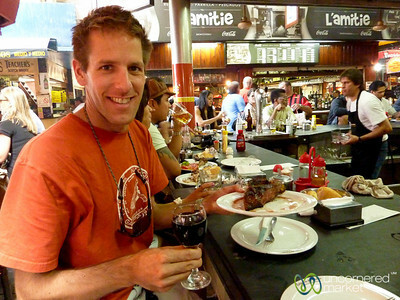 Dan enjoys a glass of red wine with a substantial steak lunch at Estancia del Puerto Restaurant in Montevideo, Uruguay. 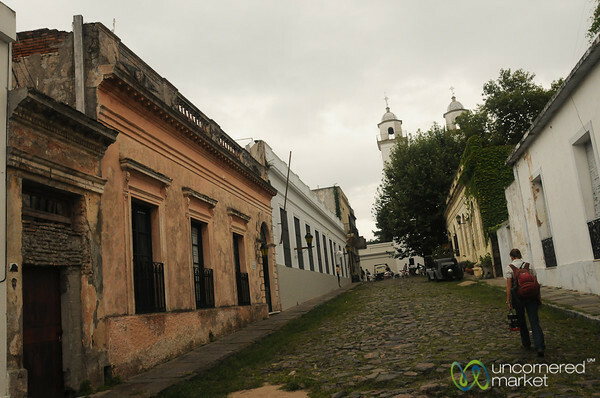 Colonia is a small town in Uruguay full of colonial architecture and cuteness. 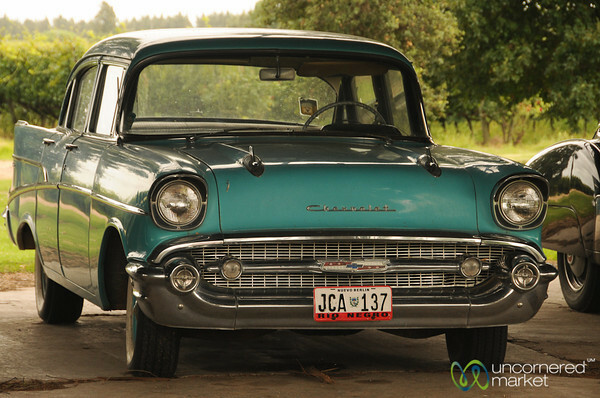 For some reason, Juanico winery outside of Montevideo, Uruguay has a classic car museum. Here is just a small sample of the collection. 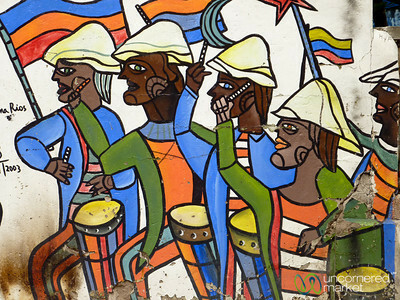 Candombé is a style of drumming and music typical to Uruguay, but comes originally from African slaves. 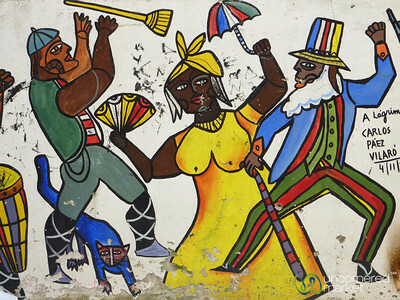 It is played during Carnaval time and is higly addictive. 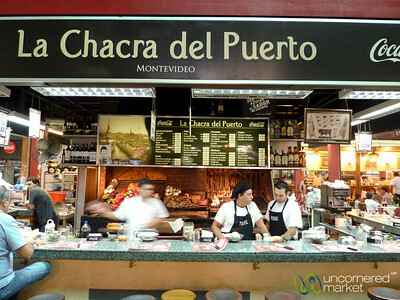 Busy lunchtime at Mercado del Puerto in Montevideo, Uruguay. 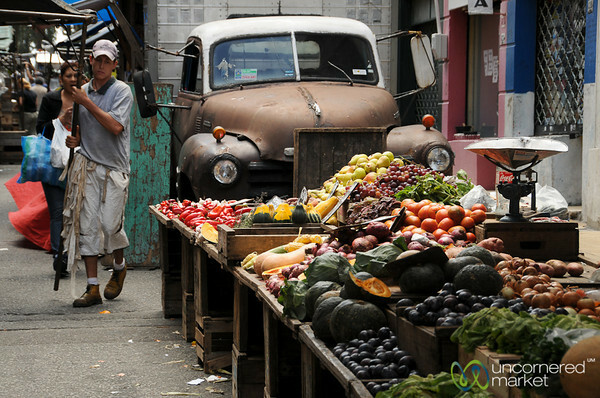 Stumbling upon a fresh market on the streets of old town Montevideo, Uruguay. 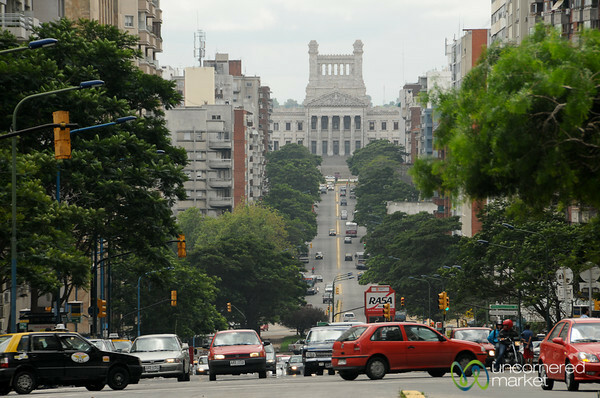 Busy 18 de Julio street leads to downtown Montevideo, Uruguay. 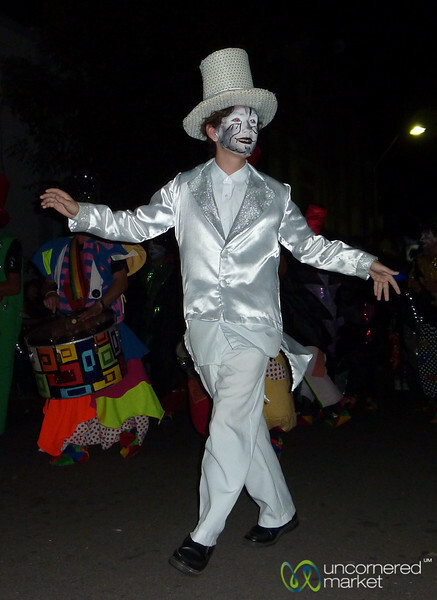 La Mama Vieja and El Gramillero are two traditional characters in Uruguay's carnival. 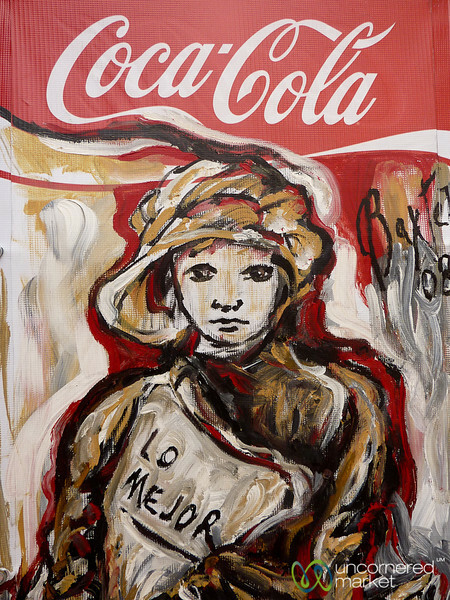 They represent Uruguay's slave period.